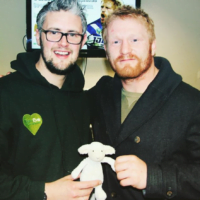 We are incredibly proud and honoured to have James Graham as a patron for Team Evie! Ex St. Helens and Canterbury-Bankstown Bulldogs captain and current St. George Illawarra star James is the most capped England player ever and has won the Challenge Cup 3 times and also the Super League Grand Final! He is a true legend of the game and we are so thrilled to have him on board as part of Team Evie! James spreads the word of Team Evie and the work we do and gets involved with events and donations when he is back home! World Cup winning England Captain! 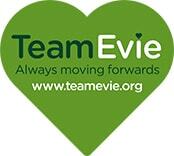 We are so proud to have Katy Daley-Mclean MBE as a patron of Team Evie!! 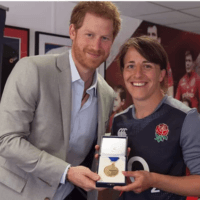 Katy is an increibly inspirational lady who has achieved EVERYTHING in her sport – she has won five 6 Nations Championships, is an Olympian, has appeared in 3 World Cup Finals and captained England to win the World Cup in 2014!! Following these successes Katy was awarded an MBE, was included in Debrets 500 most influential people in their field, won the North East Sports Personality of the Year and picked a whole host of awards along with her team! We are thrilled to have Katy in Team Evie and really look forward to working with her to raise awareness, raise funds and host some amazing events!